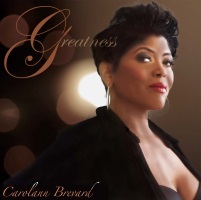 New Jersey native Carolann Brevard studied chemistry at Hampton University, but the child of music has always returned to the magical chemistry between a great voice and a deeply rooted lyric and melody. Through years of paying her dues, of studio vocals, backing a wide range of soul and hip-hop artists, through the highlights – performing on New York’s annual WBLS Dance-a-thon and commanding the stage of the Apollo Theater – Carolann has forged her own pathway in music. Carol has now come to the forefront as a vocalist with her album, Greatness, which has generated a lot of buzz. And we’re proud to present one of the songs from that album as our latest SoulTracks First Listen. Says Carol about “May December”: "May December draws you in with Latin rhythms, percussion, seductive horns and a melodic timing that creates a perfect storm telling a story of forbidden romance...it's one of my favorites on the album!" Check out “May December” below and tell us what you think! Carolann Brevard - "May December"